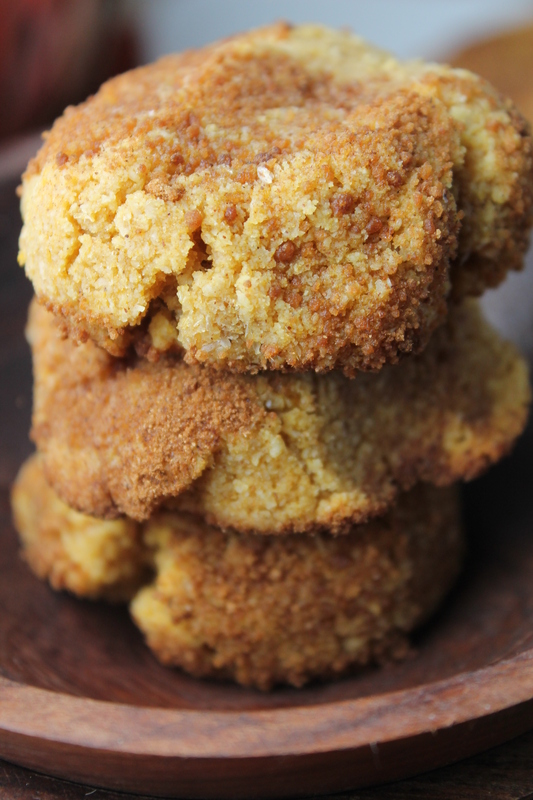 These Paleo pumpkin snickerdoodles are a real treat made with all wholesome ingredients! Better still, with no eggs and no dairy, these are perfect for loads of special diets! It always a treat finding grain free baked goods that contain no eggs. It doesn’t happen a lot! My husband and I try and limit our grains, but our little guy can’t have any nuts or eggs…so any baked good I make for us is almost never OK for him. I love how this recipe is a snap to throw together and easily memorized. With so little sweetener, and all the other wholesome ingredients…this is a treat that doesn’t carry a whole ton of guilt. If you are more of a chocolate chip kind of person, leave off the coating and mix in a handful of chips! Subtly orange-hued, ultra-moist, and delicately sweet, these cookies are fall treat begging to be made. These get even more soft as they sit for a day. Pumpkin and honey (they are humectants) will both do that to baked goods! I like to store mine in the freezer, but on the counter for a few days works too! How To Make GAPS Pumpkin Snickerdoodles? Simply omit the palm sugar and use only honey! Also, leave the psyllium husks out. Want some more egg free Paleo recipes? Here are some more of mine!! In a medium bowl, whisk the flour, cinnamon, salt, and soda. Pour the wet mixture into the dry mix and blend with a wooden spoon. The mixture will be stubborn, work it to moisten everything well. Roll the batter into 14-16 cookies, roughly golf ball size. Mix your cinnamon sugar coating in a small bowl (palm sugar and remaining cinnamon). Roll each ball into the mixture, and place on a parchment lined cookie sheet. Press down slightly with the palm of your hand: these cookies don't move much! Bake for 10-13 minutes until bottoms are golden. Cool on cookie sheet for 10 minutes, remove and store in an airtight container. It’s great that you can navigate the difficulties of providing something for your little one based on the foods they need to avoid – but still make something tasty for you all. Love it! I love Snickerdoodles way too much, so I can’t wait to try your festive fall version! That is so much easier than I was imaging! I will put these on the weekend project list for my girls to do! Thanks! I’ve been looking for ways to use up some leftover canned pumpkin sitting in the fridge right now so this is perfect! That texture looks amazing. Right? I am always trying to figure out ways to use up leftovers when a whole can is not called for! I am going to test these out with palm sugar as the sweetener and some gelatin…seeing what that will do to the texture! holy crap! these left me speechless, I added some pumpkin pie spice, extra cinnamon, and a subbed the honey/ coconut nectar with organic maple syrup.. omg. I have no words for how amazing these came out. I rolled them a coconut sugar/cinnamon mix. I probably ate more then half the dough raw, tasted like mini pumpkin cheesecake bites, then the dough I had left that made it into the oven for 10 minutes, came out even yummier! taste almost like pumpkin pie sugar cookies!!!! I’ve been vegan for about 2 years now, & I’ve loved baking since I’ve been a little girl, I’ve had my fair share of good and bad vegan recipes. this has to be my top vegan baking recipe I’ve made so far. so stoked on these!!!!! These are perfect fall treat Kyra! So glad you liked it…sounds like another batch might already be in order!! I know this recipe was posted a long time ago, but figured I would try. I need help haha! My dough never got the right texture. It was so dry and crumbly, I couldn’t even roll it into balls (this happens with all my egg free gluten free baking). What am I doing wrong?? I am desperate for help since my son has severe egg and wheat allergies. These look so yummy! I can TOTALLY help you figure this out Shannon!! Don’t give up! I am an expert at GF Egg Free baking and I am happy to help you with whatever hurdles you come to…either my recipes or elsewhere! Please, just ask!! For these cookies, the biggest two variables will be the almond flour and the pumpkin. Did you use the psyllium? Husks and powder are very different, you need much less powder than husks. I use Honeyville almond flour which absorbs more liquid as it is finer ground than some almond flours. Doesn’t sound like this was your problem since it was too dry. The pumpkin is HUGE variable. Some are SO dry, while others are super wet and liquidy.But this is just moisture…so if your batter is too dry, you need more moisture!! Start with a tablespoon or 2 of either oil, pumpkin, honey, or some preferred milk…as you prefer. As soon as you can gather the dough easily into a ball…you are good to go! try a gelatin egg Lori….1 tablespoon gelatin whisked into 3 tablespoons extra warm/hot water. These look delicious, Tessa! Thanks for sharing them at Savoring Saturdays! Hope to see you back again this weekend! These look so wonderful! Looking forward to giving them a try! Thanks for sharing them with us at Foodie Fridays! 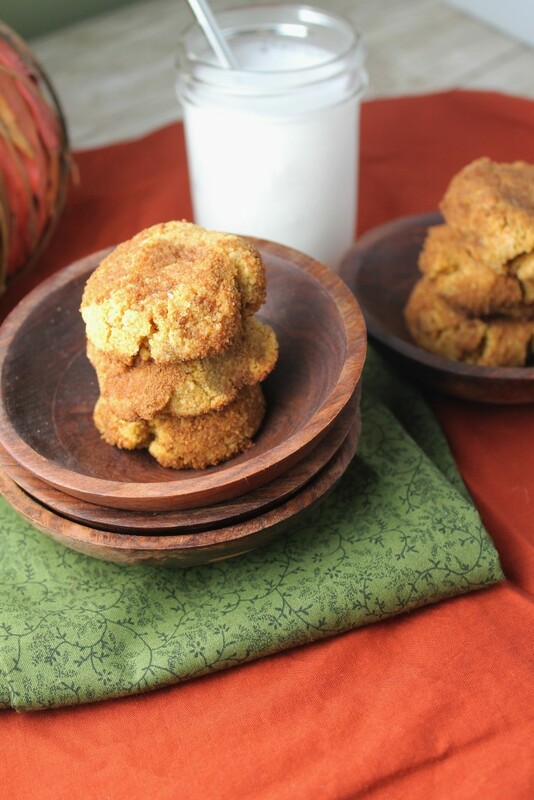 Pumpkin snicker doodles looks delicious thanks for sharing with hearth and Soul blog hop. pinning. 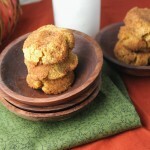 I usually think snickerdoodles are a little on the boring side, but the addition of pumpkin sounds wonderful! Thanks so much – pinning now. Yum! Great recipe. Love the idea of the grain free because I believe it so much healthier. Thanks for sharing on Real Food Fridays. Twitted & pinned. Can a different flour be used? I can’t have anything almond. Hi Jill!i do think another nut flour could’ve used, but a bit of tinkering might be necessary. Blanched almond flour is a finer grind than most. Cashew meal might work….might need slightly less liquid. What flours do you have or do you want to try? Jill, are you just looking for a gluten free pumpkin snickerdoodle? Vegan. ,ow sugar? Ok, bear with me! Here is a regular ole version that is gluten free and vegan I have yet to post! Grain free baking is another beast entirely, so we will move away from that for you. These are perfect for the fall! Thanks for sharing these on Tuesday Greens! I love Snickerdoodles and Pumpkin Snickerdoodles sound even better! Love how allergy friendly these are too. I’ll be featuring this post in my Hearth and Soul post this week. Thank you for sharing another delicious healthy recipe, Tessa. We are Snickerdoodles fans here and I love the addition of the pumpkin. Thank you so much for sharing with Full Plate Thursday. Hope you are having a great weekend and come back soon! Wonderful – can’t wait to make them! I’ll have to try with quinoa flour since I’ve got people with tree nut allergies. We shared with our FB readers at homesteadlady.com. Could i sub something for the physillium husks? Like ground flax or chia? Just whipped up a batch of these– YUM! So glad you thought to put two delicious flavors together! 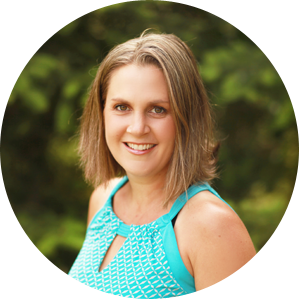 I am loving your tweaks Stephanie! Must try! Thank you for this recipe – absolutely awesome cookies! I baked them for my paleo co-workers – I am sure others will join in. Thanks Thea for letting me know, sure love these cookies too! These are fabulous! I made these for my Super Bowl treat, and they were perfect! Will definitely make again! Great Diana, glad you enjoyed them and will make them again!! Since we can’t have almond flour, do you think I could sub in all purpose GF flour? Got this tweeted and pinned! Snicker doodles are my favorite. Can’t wait to try these. Your food is always so beautiful, too! Tessa, these cookies look great. I love that they are grain and refined sugar free! Thanks for sharing them at Gluten-Free Wednesdays. Yes Heather…chocolate chips are always a good addition!! Yum – perfect that they are too! My son would love these. As is custom for your recipes, these look delicious. Looks like I may have to get some more pumpkin puree after all! Thanks for sharing. (Also hope you don’t mind but you’re on my blog spotlight list.) Have a great week! I meant perfect they are VEGAN too! Snickerdoodles just say fall to me! It’s so nice to see a special diet and allergy friendly recipe that looks so delicious! Paleo AND vegan? That’s awesome! These look fantastic! I saw your post while linking-up at Wheat-Free Wednesday and had to check out the recipe! 🙂 I’ll adjust these a tad for our GAPS diet and use some of the pumpkin we just cooked. Yum! Great Justyn, come back and share your tweaks!! You’re funny Dana! Now go make some! Wow how wonderful. I’ve bookmarked these to try this week. We love having a treat around that we can keep in the freezer for easy “almost guilt-free” treats. Can’t wait to try these, they look amazing! I just made my first grain AND egg free recipe last week… gingersnap cookies 🙂 I’m pinning these and putting these on my list! I made these cookies following the recipe precisely and they did not look like the picture! So I’m not sure what happened! At 350 degrees and 10 min later they were still not firm enough to take off the cookie sheet! I welcome any advice from those who have had success!!! I increased the oven temp slightly and baked a few minutes longer and after cooling for about 15 min they are very moist and the middle doesn’t taste cooked! Hi Cora! Sorry about that, I know how frustrating it can be when a recipe doesn’t work! The biggest variable here is the pumpkin and its water content…it can make a HUGE difference in this recipe as almond flour can only absorb so much liquid. Sounds like you. Need either more flour, chia meal, psyllium, or, next time you can squeeze out extra water in the pumpkin purée using a nut milk bag or cheesecloth. Hope that helps!